I’ve been a hitting instructor to kids of all ages for over a decade now. The way I have taught hitting has evolved a lot since I first started, and I’m confident that my teaching methods will continue to evolve as long as I’m instructing. Through constant research, experience, trial and error, I’m constantly searching for and implementing more effective ways of teaching hitters. Each of these phrases have been shouted at young hitters for decades. The intent in saying these phrases is often to get hitters to learn how to hit the baseball farther by using their body instead of using just using their arms. However, first two phrases often prove to be more detrimental to a young hitter than they are helpful (ESPECIALLY “Squash the bug”!). You may find yourself shouting the same phrase to the same hitter constantly with little to no results (I know, I’ve been there!). 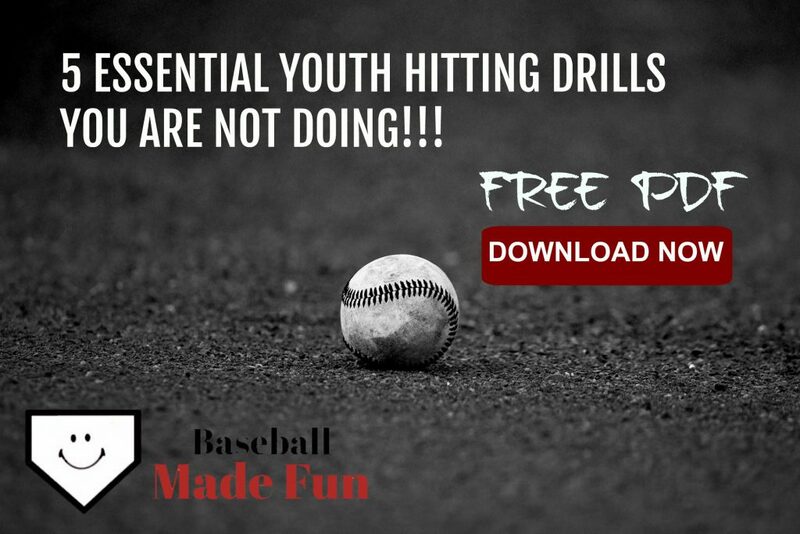 The reason that it’s difficult for a young hitter to make an adjustment based on these phrases is because they use mostly internal verbal cues. Internal cues have been shown to be much less effective in coaching an athlete in a movement as complex as a baseball swing, than external verbal cues. Read more about external vs internal cues here. I know, it’s simple, but that’s the point. You might be thinking…What’s so special about that? The secret to this phrase and why it works, is rooted in the spinal engine theory. 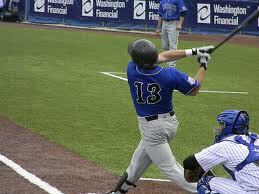 I first heard about the theory while reading this popular online hitting coach’s material. When I first started getting into his material, I was a little skeptical. The guy was claiming that he could consistently…“teach 100 LB hitters to hit the ball 300 feet”. But I have to say, after using many of his methods and particularly this phrase, I’m no longer skeptical. Regardless if you believe in the spinal engine theory or not, or if the theory is even valid, the fact is this phrase works with hitters! I’ve seen it work time and time again with players of all ages and skill levels. This is a picture of my last professional home run. You can clearly see how the “back to the plate” cue would apply here. Be sure when you working with a hitter on getting their back to the plate that they are staying under control through the swing and not pulling their head or body off the ball. Have them hold their finish for 2 seconds after they swing. It may take 5 to 10 swings before they figure out how to get their back to the plate without pulling their head, over-spinning on their feet, or falling over, but they almost always figure it out on their own if you give them the time to do it. They will not be able to do that without being under control throughout the swing. Have them take several swings leaving their eyes down until they regain body control. Once they regain the control, then allow them to let their eyes come up after hitting the ball. For more free tips, make sure you subscribe to our mailing list below! Also drop us a comment and let us know what you think!